Hematology is the medical study of the blood and its disorders. A referral to a hematologist most likely means you have been diagnosed with a blood disease and need a specialist to perform further testing and devise a treatment plan. Laboratory work may be recommended, including a complete blood count (CBC) test. This will provide your doctor with vital information about your blood and its various components such as red blood cells, white blood cells and platelets. A CBC may be helpful in the diagnosis and evaluation of many blood disorders. A blood smear may also be performed to allow your doctor to visualize the appearance of your blood cells. Some of the most common blood disorders treated by hematologists are anemia, bleeding disorders, blood clots and blood cancers. Anemia is a condition that occurs when the red blood cell count or hemoglobin is lower than normal. 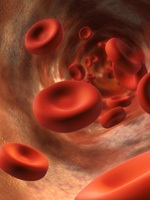 The hemoglobin may be low due to a decrease in production of red blood cells or a loss of blood. Anemia is much more common in women, especially pregnant women. It also occurs frequently in older people, people with poor diets and those with diseases that can cause anemia. The main symptom of anemia is fatigue. Other common symptoms include weakness, paleness, fast or irregular heartbeat, shortness of breath, dizziness or headache. Symptoms may start out mild but worsen as the condition progresses. 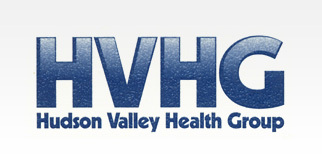 Bleeding disorders such as hemophilia and von Willebrand disease are chronic, inherited conditions caused by a deficiency in a blood clotting factor. The symptoms of these diseases can vary depending on each patient's individual clotting factor levels. Common signs may include bruising easily and often, frequent nosebleeds, heavy bleeding from small cuts and bleeding gums. People with mild cases of bleeding disorders may not need any regular treatment. Those with more severe forms may need drug therapies or blood factor infusions. All patients with a bleeding disorder should discuss potential dental work, pregnancies and surgical procedures with their doctor beforehand to ensure safeguards will be undertaken. Hematologic malignancies are a group of neoplasms (abnormal growth of cells) that arise from cancerous transformation of cells derived from bone marrow. These types of cancers affect blood, bone marrow, and lymph nodes, which are all closely connected through the immune system. A disease affecting one of these will therefore affect the other two. Hematologic malignancies include leukemia, lymphoma, and multiple myeloma. To learn more about hematology, please call 845-565-9800 today to schedule a consultation or try our online contact form.